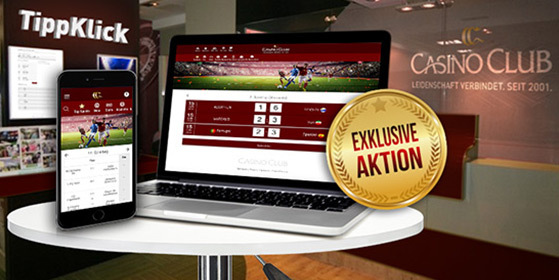 Bet&Win: Football mania at CasinoClub! With CasinoClub’s Bet&Win promotion, players can place daily bets on the outcomes of football matches in July all the way until the final game. If they are successful at betting, they win a spectacular prize: a weekend onboard a world-famous luxury ship. There, they get to partake in a roulette game with other CasinoClub winners and compete for a grand 40,000€ worth of cash prizes – with 25,000€ for the champion alone! To take part, players just need to log on, make a minimum deposit of 20€ and start betting. Spread the word about this CasinoClub promotion highlight!